“ONLY BY GOING TOO FAR DO YOU GET ANYWHERE AT ALL” – F.B. More than any other artistic figure Francis Bacon is the one most immediately identified with Soho. Though he lived and worked for the best part of his life in Reece Mews, South Kensington, Soho was the alcohol-drenched playground where he satisfied the vast appetites of his self-described ‘gilded gutter life’. Join Niall McDevitt on a unique and necessary Soho odyssey following the trail of a modern myth. We shall meet at 3pm for a glass of wine before embarking on this inaugural walk specially commissioned by the Society Club.
. Tickets are £10, please click here to purchase. 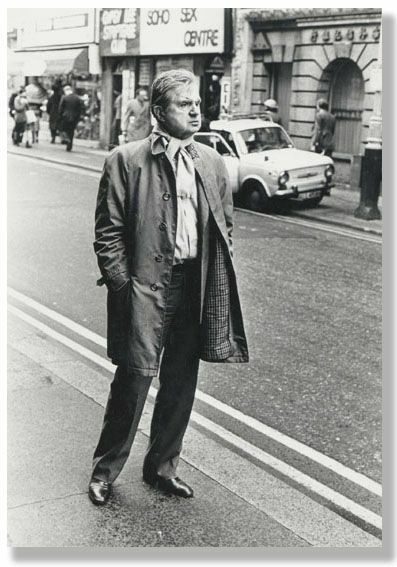 A Walk with Francis Bacon in Soho is the first ever Francis Bacon walk and has been commissioned by Society Club in Soho. Poetopography is usually concerned with the lives and works of poets in the places they lived and worked in, but Francis Bacon is a very good excuse to break the pattern. Having done William Shakespeare, Christopher Marlowe and Emilia Lanier walks, one could be forgiven for thinking that this walk is about the Elizabethan-Jacobean statesman and philosopher, but no. It is about Francis Bacon the artist who is believed to be a direct descendant of his namesake. Bacon is one of the most fascinating figures of all, the epitome of an artistic genius in the modern era. He is also a very literary artist influenced by writers who are the subjects of other walks I have done: Blake, Eliot, Yeats, Joyce, Rimbaud. He is a poet of the human body. We will meet at the Society Club, Ingestre Place, Soho, at 3pm on Saturday 29 April. Booking recommended. This entry was posted on 27 April, 2017 in homepage and tagged francis bacon, Niall McDevitt, walks round Soho. Bookmark the permalink.